This is Elma from BJD-SHOP. I can’t help sharing a good news with all of you! 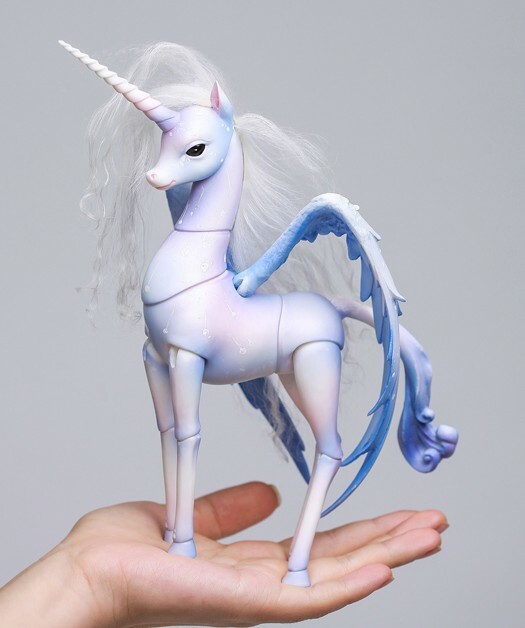 We will hold a body blushing contest for a cute unicorn Lillian. In this contest, winner can get this doll for free! I do like her at first sight, at that time an idea came in my mind. Different blushing must make her fabulous.The body blushing we did is not enough for me, I want to see more fantastic blushing for her. So I apply to our boss to hold this contest, hope everyone who love this doll and body blushing can enjoy yourself in this contest. Here are the details of this contest. 1. Everyone who buy this doll can take part in this contest. 2. The participants in this contest can buy the unicorn Lillian blank doll at the price 60USD. 3. The winner in this contest can get this doll (blank doll)for free, only shipping fee should be paid by yourself. 4. The second place can get this doll at the price 20USD. 5. The third place can get this doll at the price 40USD. 6. Other customers who won’t join this contest but want to buy this doll can get this doll at 75USD. 7. All the price in this post is for the blank doll, makeup and body blushing are not included. 9. Contest period: 15th April to 15th May. The way for voting is still pending. Anyone who has good idea can share with us.Our email is elma-1987@hotmail.com We just want to try our best to hold a fair contest. This entry was posted in Gallery, Uncategorized on March 30, 2019 by shgh.